If the sheriff of Alameda County, California has his way, the citizens of the West Coast cities of Oakland and Freemont might soon find more than just birds and planes soaring through the sky. Sherriff Greg Ahern is eyeing a remote-controlled drone. At only four-feet wide and weighing in at roughly the size of a puppy, an unmanned aerial vehicle, or UAV, could provide police in Alameda County with a whole new set of eyes where cops can’t easily get to. 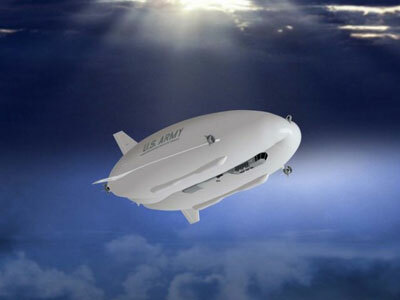 Such is the reason these aircraft are among the US military’s most popular addition to their arsenal in recent years, allowing the Pentagon to peer into insurgents from 30,000 feet above the Earth. Sheriff Ahern wants the US Homeland Security department to send him funding to acquire a single UAV — for starters — which could cost the agency as much as $100,000. In the name of law enforcement and securing the state, though, it might not be a hard sell for the sheriff, especially after Homeland Security Secretary Janet Napolitano endorsed the idea of adding UAVs across California during a Capitol Hill testimony only earlier this year. “I think it’s in California, looking at drones that could be utilized to give us situational awareness in a large public safety [matter] or disaster, such as a forest fire, and how they could give us better information,” Sec. 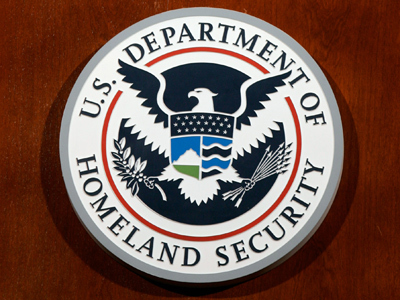 Napolitano said to the Congressional Committee on Homeland Security back in July. 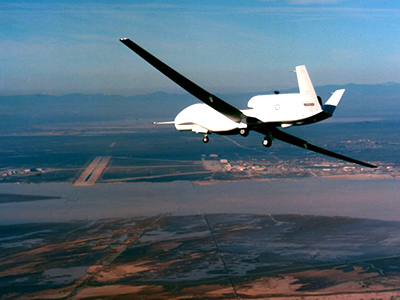 That same month, the Texas Department of Public Safety inked a deal with a Swiss manufacturer to acquire a $7.4 million spy plane with similar capabilities as surveillance drones. 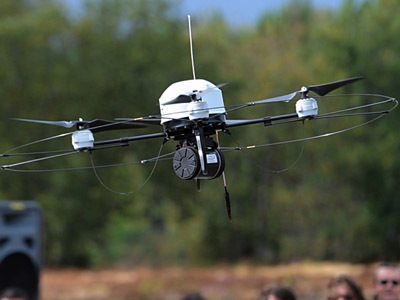 Four months later, UAVs might soon be on the way to the West. 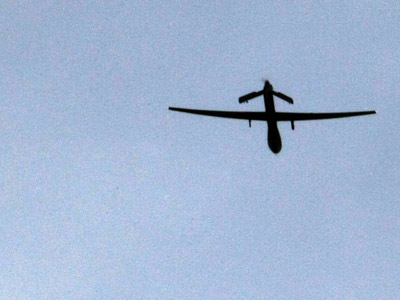 The Associated Press cites a memo penned by a Sherriff’s Department officer that says the agency is interested in acquiring a UAV with a long-distance camera, live video downlink and infrared sensors. But while Sheriff Ahern insists that acquiring a drone could do wonders for law enforcement search and rescue missions, bomb threats, SWAT raids, and drug busts, civilians are expressing concern over how their civil liberties could be at risk for the sake of so-called security. "I don't want drones flying over my backyard," Oakland resident Mary Madden said Thursday this week from the steps of City Hall. 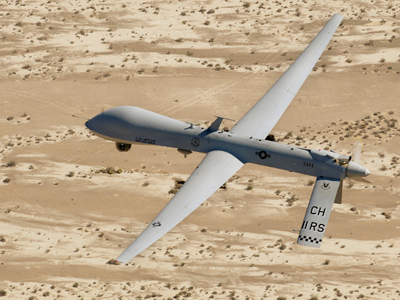 Madden was joined by members of the Electronic Frontier Foundation, Critical Resistance and the American Civil Liberties Union, the Oakland Tribune acknowledges, in order to protest plans to put UAVs overhead. "The law hasn't caught up with the technology," the EFF’s Trevor Timm tells the paper. "There are no rules of the road for how they operate these things." Timm’s testimony rings true among others, not just in Oakland or elsewhere in Alameda. 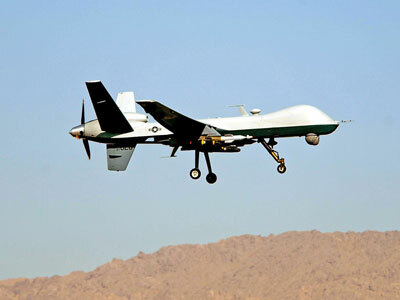 A public poll conducted last month by the Associated Press in conjunction with the National Constitution Center found that more than one-third of Americans have reservations about surveillance drones, many saying they fear police use of UAVs to collect intelligence. "I had assumed that the idea that American police would be using the same technology that our military is using in Afghanistan would garner an almost hysterical response," Constitution Center CEO David Eisner told the AP at the time. Support for drone use "shows that people are feeling less physically secure than they'd like to because they are willing to accept fairly extreme police action to improve that security,” he suggested. Ahern adds that his office will host an annual preparedness event next month that will bring together dozens of other law enforcement agencies to test out UAVs and other equipment. Linda Lye, an attorney with the ACLU, says entertaining officers with the aircraft’s attractive qualities could only be catastrophic. "When law enforcement has dangerous and powerful tools in their arsenal, they'll use them," Lye tells the San Francisco Gate. "The invitation to abuse this tool is enormous."